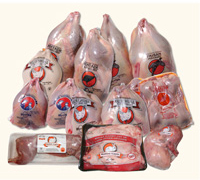 Oka Farm is one of the largest distributors of rabbits and fine poultry in North America. 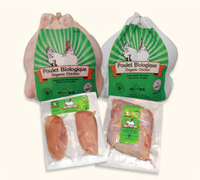 With extensive expertise in poultry production acquired over the past thirty years, Oka Farm in partnership with its growers, is now focussed on the distribution, marketing, and development of its products which include: rabbit; fine poultry (including Cornish Hen, pheasant, guinea hen, quail, and partridge); Mulard duck products; organic chicken; and gourmet deli products. Originally heir to the Trappist Monks’ savoir faire from 1980 to 1996, the Oka Farm now occupies a coveted position with consumers. 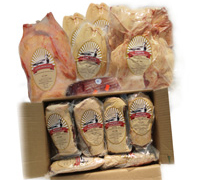 Through its diversified and efficient distribution network, its products are primarily delivered to supermarkets, poultry wholesalers, and specialized butchers, so consumers can easily find Oka Farm’s products in Quebec and in the rest of Canada, as well as in the United States. Oka Farm constantly works to offer superior quality products and excellent service to its clients. Its personnel and its partners do their utmost to develop new products and more attractive packaging. 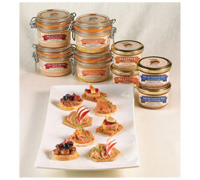 Oka Farm, traditional yet trend setting, remains a reference in the field of rabbit and fine poultry products in North America.